With Valentine’s Day just around the corner, February is known as the month for love. The most important person you can show love to is yourself. I hope you’ll join me the next 28 days for a February Self Love Challenge. Give yourself the love and attention that you deserve, and encourage others to do the same by sharing on social media. 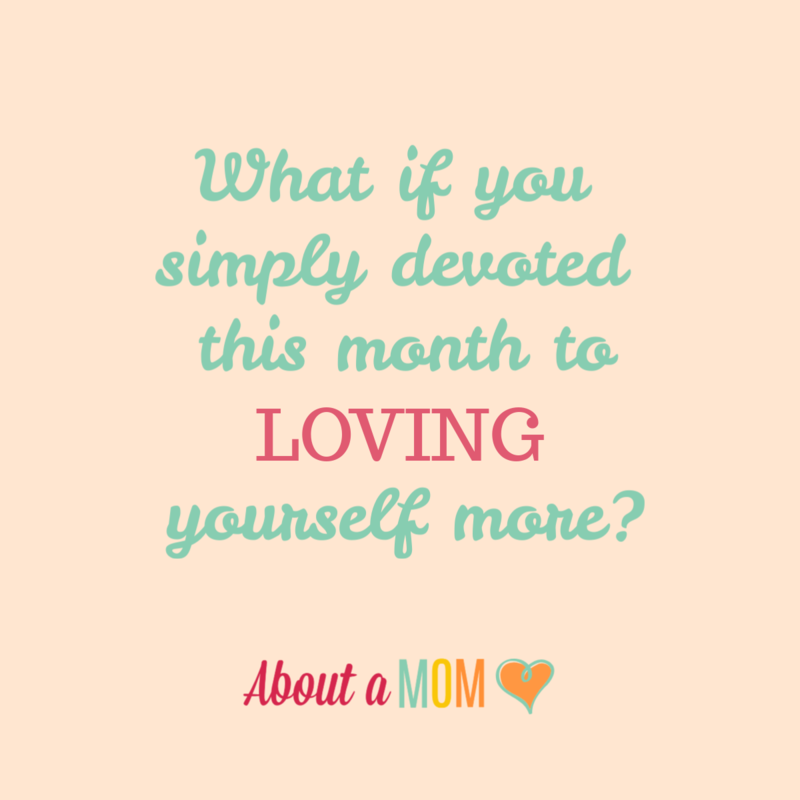 I know many of my readers are moms like me, and as moms who are often selfless and caregivers by nature, we really need something like this self love challenge to remind us just how deserving we are of the same love and attention that we show everyone else. If you don’t love and take care of yourself, how can you give your very best to your family and friends? Challenge yourself for the next 28 days to show self love! Love yourself. Each day this month, I encourage you to remind yourself that YOU are awesome, amazing and so worthy of LOVE. Spend some time each day thinking about it, say it out loud, and write it down. Do something for YOU that says “I love you.” Do something special to treat yourself, because YOU DESERVE IT. Simply take time for YOU and indulge a little. Share it on social media. I want to encourage others to practice self love and hope you will do the same. Use the hashtags #SelfLoveChallenge and #AboutAMom on your social media shares and tell everyone how you are practicing self love, and encourage others to do the same. Share something you love about yourself or a picture of something special you are doing to show yourself love or even share some inspirational quotes. I’d love for you to tag me @aboutamom on Twitter and Instagram so I can join in celebrating YOU. Even, share with your friends on Facebook. Plus, I’ll be looking for your social shares so I can give out some awesome prizes! Win Prizes! 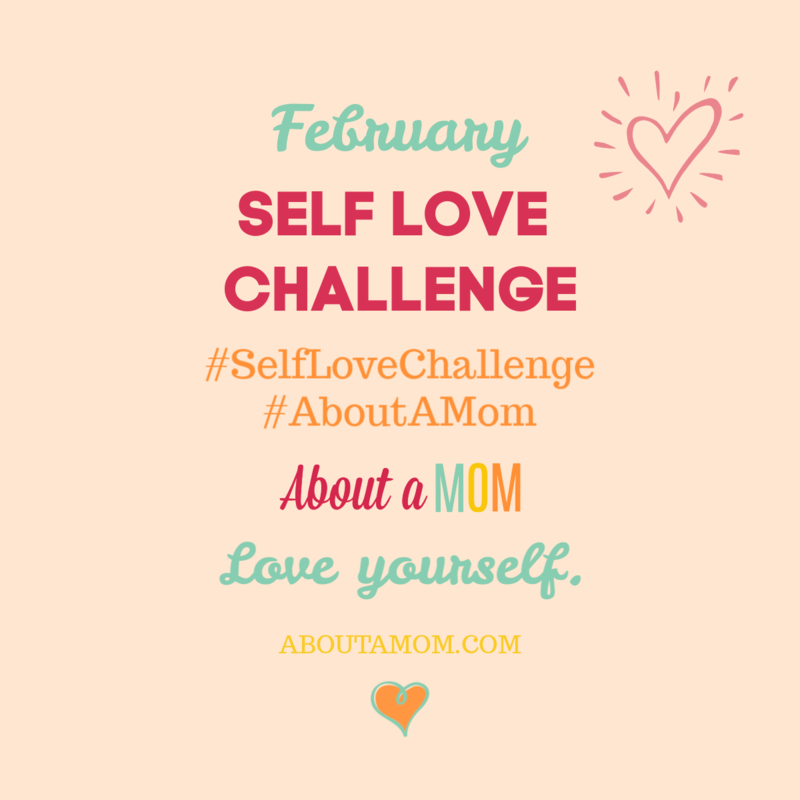 I’m working on some awesome prizes for this Self Love Challenge and will watching for the #SelfLoveChallenge and #AboutAMom hashtags to randomly award them to participants throughout the month. Be sure to check back here on the blog for announcements over the next few weeks or follow About A Mom on Twitter, Facebook, and Instagram for more about prizes coming very soon. Write down some of the things you love about yourself. Make a list and add to it throughout the month. Each day write something down on a sticky note and post them around the house to remind you of how awesome you are. Show yourself some grace. We tend to be our own worst critics. Cut yourself some slack. You don’t have to be perfect and nobody expects you to. Give yourself the same acceptance and forgiveness that you show others. Acknowledge how truly awesome you are!! My personal experience with self love has been a rocky one. I’ll be sharing more on the topic of self love throughout the month, including some ideas, inspiration, activities and personal experiences. I know that I will really benefit from this challenge, and hope that you will too. I’m so excited about this challenge and look forward to hearing your thoughts! Feel free to leave a comment below or tag me (@aboutamom) on social. « Heartburn Relief and a Not-So-Guilty Cinnamon Sugar Almond Rolls Recipe!